Universities have been understood to be a place where ideas are exchanged freely; instead, the University itself has evolved. It has developed its own restrictions, where ideas and free thought that were once encouraged are becoming increasingly confined. Cut The Red Tape was a response to the ways in which the stifling protocol structures of the University directly impact and infringe upon the creative freedom to produce the work, which educational institutions imply they facilitate. 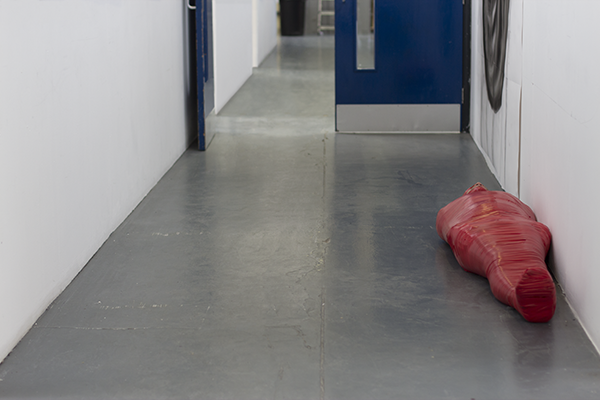 This performance to camera took place in the main corridor of the University art department. After the image was made the red tape was cut.